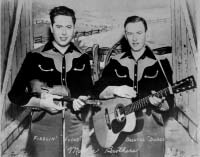 In Ivan Tribe's book on country music history in West Virginia, "Mountaineer Jamboree", he tells of a show out of Charleston, West Virginia that aired over WCHS called the "Old Farm Hour." The show apparently was the creation of Buddy Starcher who Tribe said was "...destined to have the largest impact on the Charleston country radio scene." While Buddy was working in Charleston, he found himself being asked to work on personal appearances with an act called Salt and Peanuts who were working out of WOBU. He got the idea that he could begin booking himself. He began auditioning amateur talent on Wednesdays with announcer Gene Ferguson. Those that did well in this audition would appear on a broadcast on Friday nights. As time went on, the show had regular performers and was held before a live audience. That show became the "Old Farm Hour." There was a long-time emcee on the show, Frank Welling. 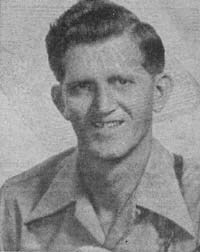 He was on the WCHS staff as announcer and musician. He had a show at one time that was sponsored by the "Pow-A-Tan" Tonic company. When he did the emcee chores on the Old Farm Hour, he did it as his character, "Uncle Si". 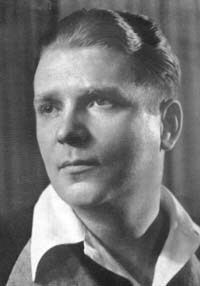 Frank Welling also did numerous recordings with John McGhee. 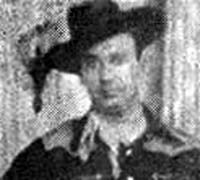 As Buddy Starcher's career moved on, Frank Welling would also audition talent that would appear on the Old Farm Hour show. The Old Farm Hour show was held on Friday evenings. 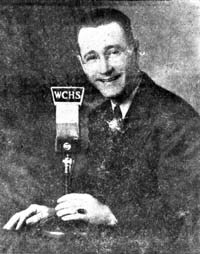 The show would draw about 2,000 folks to the WCHS auditorium (Middleburg Auditorium) that was home to the radio station. 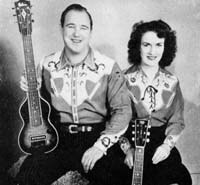 During World War II, live shows such as the Old Farm Hour and the larger WWVA Original Jamboree had to cease or curtail their live performances with gas rationing and travel being curtailed. The WCHS show did however put on a live show monthly at the auditorium. Ivan Tribe's book mentions that the show was revived for a time in the late 1940s, and Frank Welling was still serving as emcee as Uncle Si. But we've not been able to determine when the show came to an end or when it was off the air before being revived.